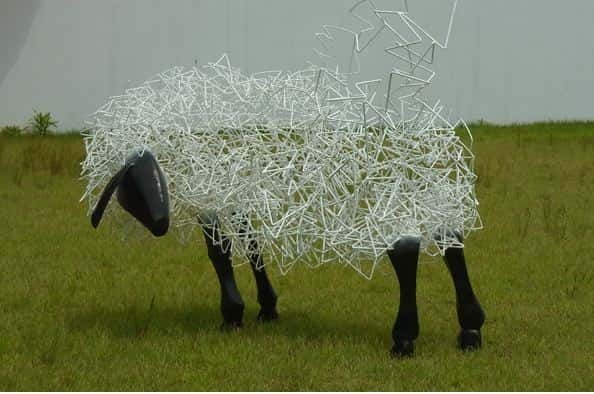 Tomohiro Inaba is an artist who creates amazing sculptures. 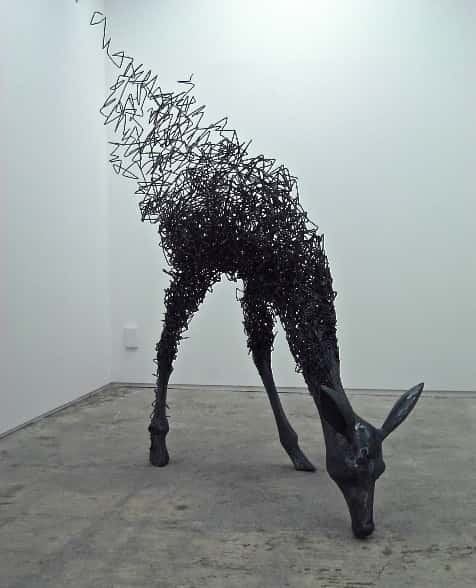 One of the main materials used in Tomohiro's work is iron. Tomohiro also often incorporates everyday objects into his artwork. 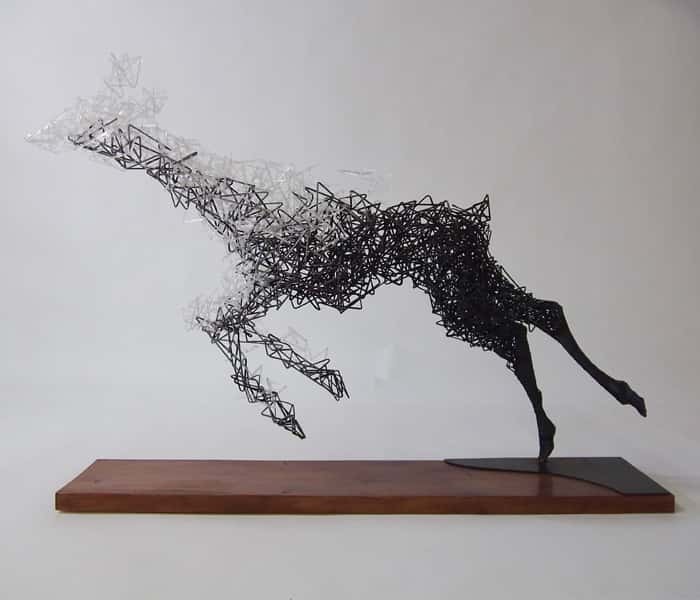 These amazing sculptures appear to be woven in a free formed way. 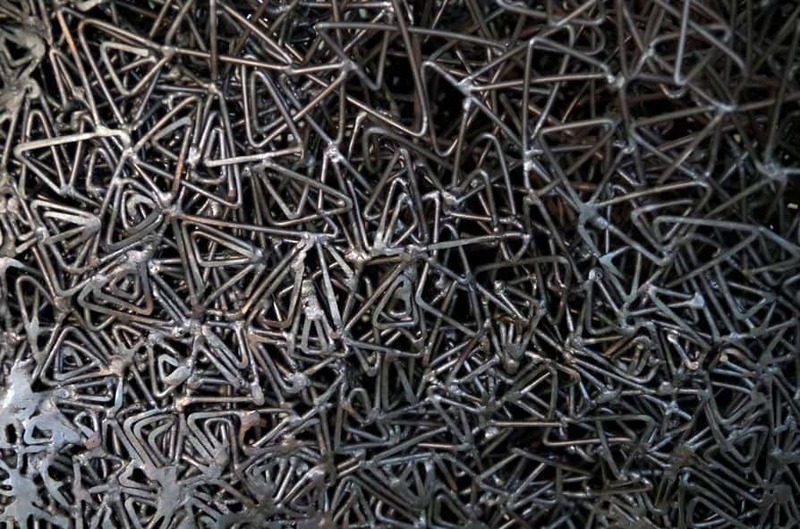 They are in fact made from solid iron wire. The complex designs are intricate and stunning. As you can see by looking at the photographs these sculptures begin with perfect form. The anatomically correct forms seem to explode into amazing complex tangles. 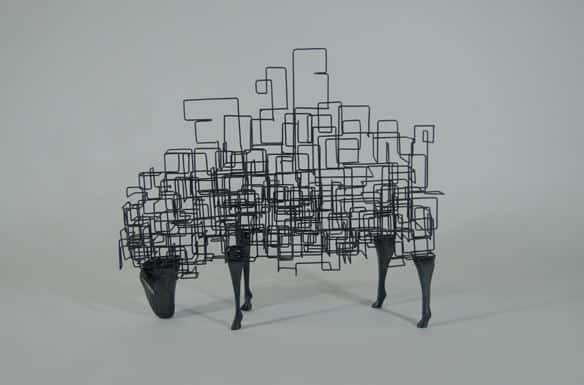 Here are a few examples of Tomohiro Inaba Iron Sculptures for you to check out.